Is Tamiflu Safe and Effective for Children? Tamiflu (oseltamivir) is a popular oral antiviral drug used to treat or prevent the flu (influenza). Despite its popularity, the use of Tamiflu in children remains somewhat controversial. It's not uncommon for parents to claim that it doesn't always work, to read reports suggesting that overuse can lead to the development of treatment-resistant influenza strains, or to hear some warn that using Tamiflu causes hallucinations and suicidal thoughts in kids. It can be hard to separate fact from fiction, so here's a look at what the research says. Tamiflu is one of three antiviral drugs approved by the U.S. Food and Drug Administration (FDA) for the treatment and prevention of influenza. The other two include the intravenous drug Rapivab (peramivir) and the inhaled drug Relenza (zanamivir). Unlike other antivirals used to treat the flu, these three drugs are effective in treating both influenza A and influenza B viruses. Tamiflu has been FDA-approved specifically to treat influenza in children two weeks of age or older and to prevent the flu in children one year of age or older. It is not recommended for mild cases, however. Reduced symptom duration and severity: Using antiviral drugs like Tamiflu within 48 hours after symptoms have begun can decrease the amount of time that flu symptoms last, as well as how bad they are. Decreased risk of complications: Antiviral drugs may lessen the risk of complications that can occur from the flu, including pneumonia, ear infections, hospitalization, and respiratory failure. Shorter hospital stays: When kids are hospitalized for the flu, early antiviral treatment can shorten the length of their hospitalization and help prevent respiratory failure or death. Even if your child is past the 48-hour window, an antiviral drug may still help. Flu prevention: Antiviral drugs are 70 percent to 90 percent effective in preventing the flu, so they're important for preventing the flu in kids who are at high risk for complications within 48 hours of exposure. Children are considered to be at high risk for flu complications like pneumonia and respiratory failure if they're under the age of 5 years and/or they have an underlying health condition such as asthma, lung disease, diabetes, epilepsy, heart disease, kidney or liver problems, blood disorders, cancer, immunodeficiency, or cerebral palsy. These drugs are also a source of prevention for exposed kids who can't get a flu shot, such as those who have had a previous allergic reaction to a vaccine. Effective for infants: Though it's not FDA-approved, the CDC and the American Academy of Pediatrics (AAP) recommend using Tamiflu to treat babies under 14 days old with the flu and to prevent the flu in children ages 3 months to 1 year, since these children have an especially high risk of flu complications. Cost: Price is chief among the concerns, with a five-day course running over $100 without insurance. While lower-cost generics are now available, the price is still significant. Try looking online for prescription discounts and coupons if your child needs Tamiflu. Not understanding how it works: Some parents don't believe that Tamiflu actually works. In most cases, however, this is related more to using it incorrectly or having unrealistic expectations than to the drug itself. Practically speaking, the effectiveness of Tamiflu can vary depending on when the treatment is started. To this end, most doctors recommend that the drug is taken within 48 hours of the first appearance of symptoms. 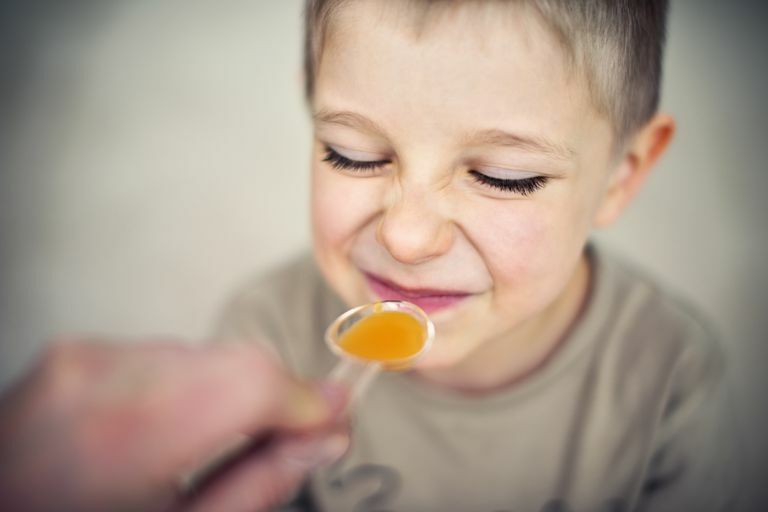 The problem, of course, is that parents can sometimes miss or dismiss minor symptoms like sniffles or a scratchy throat for a day or two, particularly if the child seems otherwise well. Moreover, while some people think Tamiflu is supposed to immediately kill the flu virus and banish all symptoms, the fact is that it doesn't work like an antibiotic, though it will likely decrease the length of time your child sick. Tamiflu also doesn't work on other kinds of viruses, so it won't help if he or she has something other than the flu. Not using it for prevention: Tamiflu can be extremely effective in preventing the flu in a child who hasn't yet been vaccinated or who is at high risk for complications and has been around other people with the flu. However, because the benefits are largely invisible, parents will often only reach for it when symptoms appear, rather than use it for prevention. This is a mistake. Any high-risk child should be treated with Tamiflu as soon as possible after exposure to the flu. Parents often associate price with potency and fear that a drug like Tamiflu may cause more symptoms than it relieves. For the most part, this is untrue. According to the FDA, the two most common side effects are nausea and vomiting, which are usually not all that severe and occur within two days of starting treatment. Taking Tamiflu with food can usually lessen the risk of these side effects. Other side effects may include mild stomach pain, nosebleeds, headache, and fatigue. More serious side effects have been reported. Reports mostly from Japan in 2005 and 2006 suggested that Tamiflu increased the risk of neuropsychiatric symptoms such as delirium and hallucinations, and could lead to thoughts of self-harm or suicide in teens. To date, no similar events have been reported, and further studies have not found any increased risk of neuropsychiatric effects in Tamiflu users. However, updated product labels do now include an advisement that hallucinations, self-injury, abnormal behavior, and suicidal thoughts, while exceedingly rare, are possible. If you notice any serious side effects while your child is on Tamiflu, call your doctor right away. As with antibiotics used to treat bacterial infections, there have long been concerns that the widespread use of antiviral flu medications could lead to the development of a supervirus. To date, we have not seen this. Because the influenza viruses can change so quickly, the CDC routinely tests for antiviral resistance and has found little to no resistance during the past flu seasons. This regular testing also identifies which antivirals the CDC should recommend each flu season and helps keep guidelines updated. That said, taking any medication when it's not really needed is ill-advised. Besides the potential health risks, it may limit the supply of the drug for those who truly need it. How Many Adults and Children Die from the Flu Each Year?